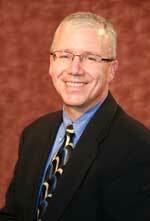 Guest Blogger: Mark Rohloff–2013 Newsmaker of the Year! 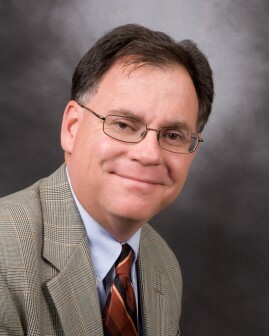 Mark has over 30 years of experience in local government management, in areas as diverse as public works, economic development, finance, organizational development, and long range planning. He is also a member of the adjunct faculty in the MPA program at the University of Wisconsin – Oshkosh. A common catchphrase in today’s workplace is “You did (or didn’t) have my back.” The very nature of our public sector work means that our actions are on display for everyone. Even the slightest hint of disagreement can be perceived incorrectly between fellow team members. When that happens, the trust between co-workers can suffer long term consequences. When these “moments of truth” occur on a frequent basis, as they do in a municipal setting, the risk of damaging relationships occurs so often that we need to take steps so that we can withstand these potentially damaging circumstances. I have experienced both of these situations. Once a department director of mine was getting grilled by a council member about a routine contract renewal. Although I was new to the city, I was familiar with the issue, and the director felt that the conditions for renewal were appropriate, so we did not discuss it much in advance of the Council meeting. When it got to Council, it was obvious that this particular council member had held some grudges over the previous decision and was inferring that the director was less than forthcoming in his answers, when in my experience the answers made perfect sense. I respectfully intervened and explained that I was familiar with contracts of this nature and that the department head was correct. With that assurance, the Council approved the contract. The next day, the department head thanked me for having his back. I did not think that I had done much, but other department heads recounted similar experiences with the Council. I explained to my staff that the better they briefed me on important subjects, the better I would be able to support them in similar circumstances. That incident became a turning point for me and my new staff. I have also had unfortunate experiences in which I did not immediately jump to a staff member’s defense for one reason or another. The result was a noticeable change in my relationship with that staff member, with long lasting consequences in some cases. Both situations showed me the importance of developing and maintaining trust in my employees, and them in me. Continuous discussion, critiquing these situations, and learning from them are key in handling these moments of truth. As managers of change, it is important that our team members share mutual trust to take us through tough times. Recognizing these moments of truth and reinforcing that trust can go a long way to developing a supportive environment to implement important changes in our organizations. Do not take that trust for granted, it is too valuable. When I first accepted the position as City Manager of Oshkosh, Wisconsin five years ago, I was faced with addressing Oshkosh’s reputation as an organization that was not customer oriented. Upon my arrival, I could see that our employees were equally concerned about this reputation. Outside perception was one thing, but I also had to contend with a collective inferiority complex that had filtered into the organization itself. The first sign came when department heads asked me in front of their peers if I planned to sweep the place clean with a big broom. I responded that I was more likely to tidy the place up with a dust broom. My intent was to assure everyone that this was a fresh start and that I would fix things that needed to be fixed and not interfere with things that were otherwise operating well. As I looked into customer service complaints, I discovered that they existed in small pockets and not throughout the organization. Meanwhile, I was also observing some outstanding examples of customer service, in some cases right alongside the problems areas. It seemed so unfair that the old adage, “A few bad apples spoil the whole bunch” had taken hold. How would we overcome this unfair reputation? The problem areas were going to take time to correct, so while I worked on those, I made a conscious effort to highlight the many positives that existed in our organization. I identified metrics demonstrating some high performing areas that deserved recognition. I acknowledged the problem areas, and in many cases, used self-deprecating humor to assure the public that we knew our shortcomings and would continue to work on them. Meanwhile, I would point out, look at the cool things we’re doing here in Oshkosh! With the assistance of some great community partners, we shared testimonials of excellent customer service and highlighted collaborative initiatives that were going on at all levels of the city. The positive highlights also had the benefit of transforming employees. Instead of hiding our high performers, we celebrated them and gave them a voice to be proud of their work. As we initiated continuous improvement programs, employees were now being recognized for their contributions and became leaders within their work groups. We still have many areas of improvement, but creating a culture in which employees have become proud of the work they do for our community has enabled Oshkosh to believe in itself. That culture shift will enable us to more effectively confront our future challenges. As leaders, believing in our employees and giving them the tools to succeed is a powerful first step. If I am training a group of utility billing clerks, I would probably be more comfortable with a game that is “fun” more so than “competitive” due to the fact that their training environment should be a stress-free zone; antithetical to stressors that are faced in the work environment. If I am working with a group of senior engineers, I might lean more towards a game that is constructive as a means of playing to their strengths. I would never use a game with any audience that purposefully sets a participant up for ridicule. If a learning game goes too long, learners can quickly grow weary and move on in their minds, even if their bodies continue to participate. A wise facilitator will test a learning game with a focus group before using it in a live training session. He or she will seek feedback that is specific. Is the game too long? Is it too short? Does it reinforce learning or will participants miss the point? Make sure the game fits the learning objectives. Having a game for the sake of including one seems haphazard. Even if it is for an ice-breaker or a means of calling a group back together after lunch, etc., the learning game should, on some level, relate to the content at hand. The key is using a learning game as the proper tool for proper application. I would not hammer a nail with a screwdriver. Similarly, if a learning game complements learning outcomes — use it. If not, choose another tool. Do not always use the word “game” in a training context. The term can minimize significance, invoke competition fears, become more about winning than learning, etc. Sometimes, I will refer to it as a learning activity, or experiment. Again, this totally depends on the audience, objectives and context. I am deeply into the new book by the Kelley Brothers, Tom and David (the IDEO Guys): Creative Confidence: Unleashing the Creative Potential Within Us All. Maybe I am finally understanding the “creativity” (and innovation) challenge after a lot of exposures to their work and the work of others. #1 – A “how do I actually define the problem?” mindset. This is terrific! Time and again, companies fail to define the problem with enough precision. Thus, they come up with solutions that are solutions to the wrong problem. I’ve read this, I’ve thought this – this book helps me understand just how big a deal this is. “What is the problem?” is the question to keep pursuing, until you get the exact right answer to this question. #2 – Put yourself in the place of an actual user of your product of service. And the only way to do this – the only way! — is to observe real people actually buying/using a product or service. I mean, really observe – taking plenty of time, paying very close attention. #3 – Cultivate genuine empathy for the user of your product or service. Never ask someone to adapt to what you provide. You adapt what you provide to the way they actually want to use the product or service. This reminds me of the simple but brilliant observation made by Frank Luntz in What Americans Really Want…Really: What Americans really want is “no hassles.” And any time you remove a hassle, you are providing what people want! And, #4 — You can be more innovative than you think you can be when you have a time constraint – a “deadline” for your innovation. Fascinating! Bruno Rumbelow was appointed City Manager of Grapevine, Texas in December, 2005. Prior to becoming the Assistant City Manager of Grapevine in January, 1998, he was the Assistant City Administrator of Fort Smith, Arkansas for four years. He has served as the City Administrator of Neodesha, Kansas, and the City Manager of Texarkana, Arkansas. Bruno has a Bachelor of Science Degree in History from the University of Texas at Tyler, and a Master of Public Administration Degree from the University of Kansas. We have a strong group of men and women in key leadership positions in Grapevine. Their individual professional achievements are numerous and span decades of service to the community. However, as strong as they are individually; collectively, as a team, they are even stronger. A question City Managers often face is, “Given the fact that there are limited resources, how do we keep departmental leaders focused on the larger goals of the organization?” In other words, How do we create an environment that isn’t dominated by silos? Of course, as long as there are people involved there is always an element of self-interest which can lead to a silo mentality. Managers who focus too much on the idea of scarce resources or a zero sum game can put good people on the defensive which may foster an attitude where MY department is MORE important and therefore DESERVES more of the scarce resource. It is not easy, but if you have the courage to really treat your team like a team, they will actually act like a team. In short, let them REALLY help and then watch how willing they are to participate, share and sacrifice. I just started reading Malcolm Gladwell’s new book, David and Goliath, and boy is it good! I have to admit that I have loved every book that Gladwell has ever written. At times I am not sure that I understand the purpose of a particular story, but I still love reading all of his stories. Sometimes I have finished one of his books and wondered, “What was the purpose of that book?” but I’m only going to admit that to a few close friends (Ooops!) and even then it’s not going to keep me from really loving the book. One of the things that has already struck me about this book, though, is a point that I do understand. In brief…Gladwell points out that one reason “Underdogs” win wars, games, and competitions that they are not expected to win is that they don’t care. It’s not that they don’t care about winning or succeeding. They DO care about that. But what they don’t care about is the opinion of the establishment, the conventional wisdom, and the so-called experts’ criticism. That intentional indifference allows them to have the courage to attempt the impossible, to think outside of the box, and to try innovative things that others are afraid to try. What Gladwell points out is that it’s not that others won’t try these things because they are afraid that they won’t work. They don’t try them because they are afraid of what others will say. That’s why innovations almost always come from the edges. If you are too intertwined with the perceived establishment, it will be very difficult (not impossible) for you to be an innovator or even an early adopter. You can be, but you will have to be very intentional and possess a good bit of emotional fortitude because it is likely that you will be criticized by people for which you care. This is a real dilemma because in order to be a good leader, you have to network with others and build strong relationships, but at the same time, those very relationships can sometimes become things that dull your ability to catch the next wave of innovation. We all have some need for approval from others—whether it’s our colleagues, our staff, our constituents, or our Board. But how can you keep that from diminishing your instinct for innovation? Honor the people on the edges of your own organization—There’s a good chance that the person you identify as sort of “out there” has some rough edges and may not fit in all that well with the rest of the team. That can mean that you have a tendency to dismiss his/her ideas. Maybe you should consider, however, that this is the person who may have just enough distance from the core—to provide different, innovative, and much needed ideas. Listen to him/her. You may not embrace everything that you hear, but you should hear it. Reserve the right to think for yourself—and then use that right!—There’s no greater service that you, as a leader, provide to your organization than your ability to think clearly about reality and about the future. There will always be a long line of people that are willing to do your thinking for you, but it’s not something you can delegate. Too many leaders do delegate it or completely neglect it. That’s a sure sign that a drought of innovation has set in. Stop worrying about the proverbial “They”—“Who is ‘They’?” That’s a question that I’ve started asking leaders often. It’s because I hear leaders refer to “They” so casually, as if everyone knows who “They” are! I’m not sure that even the leader knows who “They” are. Sometimes—Many Times—I’m not even sure “They” exist. Whoever “They” are, you will demoralize your team and diminish your effectiveness if you spend too much time worrying about them. Build deep, transparent, and meaningful relationships but beware of seeking validation from others—Here’s a secret—There may be a shortage of water in the world—but compared to the amount of validation in the world—there’s an overabundance of water! There’s plenty of oxygen in the world; there’s plenty of sunshine; and there’s plenty of wind—but there will never be enough validation to satisfy the craving of people who seek validation from other people. Seeking validation from others is like drinking salt water. It won’t help you. It will kill you. I’m not suggesting that you be distant, macho, or a lone ranger kind of leader. Not at all. However, if you are too dependent upon the approval of others to convince yourself that you are adequate as a leader, it’s going to be a frustrating journey. Often, the question, “Who needs development activity?” is easily answered due to substandard performance, internal or external customer complaints, poor performance ratings, etc. On the other hand, development activity may be necessary due to a promotion that involves gaining additional skills, adhering to new laws, transitioning from peer to leader, etc. Regardless, ongoing employee analysis enhances an employer’s ability to move an organization’s business strategy forward while ensuring the right people get the right development activity at the right time. · Do employees lack knowledge, skills, or abilities? · Who needs development activity? · Are employees exhibiting motivational or attitudinal behaviors that are incongruent with the organization’s business strategy? · Is the organization’s work design flawed? · Do our developmental processes align with our mission, vision, and strategic goals and objectives? · Do our developmental processes align with our performance review process? · To what degree are employees pursuing individual learning and self-development? · Are our employees ready for development and if not, what do we need to do to get them ready? · Do our developmental initiatives balance short- and long-term employee needs including development, learning, and career progression? · Are we addressing key developmental needs including our identified core competencies, management and leadership development, new employee development, safety awareness, etc., as appropriate? · Are we reinforcing competencies on the job? Employee analysis equips organizations for effective human capital management. Additionally, employee analysis identifies employees who are candidates for potential increased job responsibilities and potential promotions. This means employee analysis is simultaneously present and future oriented. As such it answers the questions: “What do our employees need, and what will our employees need?” Employee analysis prepares organizations for future change before change happen. For example, if an organization budgets for a new piece of equipment, employee analysis also plans for training on the new piece of equipment. Training not only teaches users how to operate the piece of equipment, it purposefully includes application to an organization’s business strategy. In subsequent posts, we will outline a five-step process for employee analysis. How do I put my teams together in the best way, with the right mix of the best people? But, any way you ask it, it boils down to this: the wrong people are disastrous, to not-good, for the organization. The right people provide great promise and hope, and then effectiveness and progress and increasing productivity. The “Reliable Worker” Team Member – always gets his/her work done well, thoroughly – is execution personified! The “Slacker” Team Member – does not do his/her work thoroughly, and other team members have to make up the slack. Other team members do not like or appreciate the slacker among them! They grow to resent the slacker. The “Underminer” Team Member – literally undermines the work of others on the team, thus harms the entire team in the process. Now, if every team had zero underminers, and zero slackers, then such teams would be far more productive, and effective, and profitable for the company overall. But, the bad ripple effects of underminers and slackers can be devastating. #1 — Are you a good, a bad, or an ugly team member? If you are a bad team member, or worse, an ugly team member, I.do.not.want.you.on.my.team! If you are a good team member, you are, and will continue to be, in great demand. I definitely want you on my team. #2 – Do have any good team members on your team? If so, encourage them, nurture them, thank them, respect and appreciate them…. You want to keep them happy, because they are valuable indeed. #3 – Do you have any bad team members on your team? If so, understand quickly that the morale of the entire team is in great jeopardy. Either “fix them,” of “get them off the team!” A slacker, and especially an underminer… well, not good for any team. Assuming that the team is working on the “right thing to work on” (that is another challenge, isn’t it?) it really is all about the people on the team, isn’t it? Leaders today face an interesting paradox. On the one hand, the demand for “life-long learning” has never been greater. Leaders simply cannot afford to stop learning. If you coast, you roast! Knowledge, information, and disruptive technologies are flowing into the marketplace like a roaring river. Drinking from it may feel like drinking from a fire hydrant, but you have to keep drinking, nonetheless. On the other hand, while you are required to keep learning new things, you can’t use that newly acquired information to lead. Not exactly, anyway. And you can’t rely on what you already know to make you an effective leader, either. Sounds crazy, right? In a way it is. Chaos, perhaps. The point is: in the past, leaders were recognized as experts in their areas of specialty and people followed them because of it. That’s not true anymore. It just isn’t. Oh, you may be recognized as an expert, and you may garner a certain amount of respect because of it. However, if it ever did in the past, that alone doesn’t translate into effective leadership today. Instead, today effective leadership requires more than just expertise. It requires a different set of skills. The effective leaders of today are experts in their specialties, but they also know how to negotiate the strange new landscape of leadership using three very important tools. Ignoring these tools is a fatal flaw to effective leadership. No amount of expert knowledge (as important as it is!) can make up for the absence of these practices. Employee Engagement—This is possibly the most pressing issue in organizational health today. The short attention span, the endless list of exciting apps beckoning from the I-pad, and a relentless need for mental and emotional stimulation are combining to create a culture of disengagement in the workplace. Great leaders, in spite of all of the difficulties, must make employee engagement a big priority. Engage employees and they will have a much greater appreciation for your expertise. Teambuilding—This is more than just creating a cordial environment within the office. Building effective teams means leading your organization to collaborate with each other, instead of to compete against each other. It means that relationships must be healthy, respect must be prominent, and diversity must be both accounted for and leveraged. The axiom, “Together Everyone Accomplishes More” is claiming center stage in the theatre of today’s workplace. As a leader, you must be one who empowers people, enabling them to be their best—which requires being on a great team. Leadership Development—Great leaders today are not content to be the boss of a team of followers. Great leaders focus on building leaders. They do not horde their expertise, they use their expertise as a ladder so that others can climb higher and fly farther. It can seem counter-intuitive. “If I am the leader, shouldn’t they be helping me be successful?” Perhaps in the old order. Not anymore. Successful leaders are servant leaders who help others reach their highest potential. Don’t be afraid to develop your leaders and let them go on to greater things. If you can develop leaders, there will always be people standing in line to be on your team. Is it the end of the expert? Well, not exactly. However, 2014 might just be the beginning of the end for the selfish expert, and that’s a good thing for all of us. I love texting, instant messaging, and e-mailing people. It’s just easier for me to write a quick note and press “send”, but there’s a very important element that’s missing from everything that I write down—attitude. You never know how crucial attitude is until it’s gone, especially in large organizations where everybody doesn’t know each other. A bad e-mail could become your first impression. I always find it funny when a big executive sends me an e-mail typed with a large childish font in a ridiculously bright color. How can I take that seriously? And how many times have you read an e-mail and thought, “He/she sounded mean in that e-mail” or “I didn’t like the tone of that e-mail”? But it’s not only what you write; it’s about how you write it, when you write it—and in email—who you copy in the message. View it. Share it. And realize that every message you send can leave a lasting impression—just make sure it’s a good one.